Please, check on arrival at Palma Majorca airport the information screens about the check-in desk designated to your airline and flight. Is highly recommend while you are waiting for your flight to watch out this information due to possible last-minute changes gate changes or modifications on the scheduled departure. To avoid queues at the time of airport check-in, many companies allow online check-in in advance, from your home, office or mobile device. Besides, some companies have installed self check-in machines in the Passenger Terminal at Palma airport: Air Berlin (level 2 and level 4), and Air Europa (level 2). Once you have finished the check-in process and get the Boarding Pass, please head to the corresponding boarding gate through the security controls -to check the necessary documents and if there is any prohibited items in your hand luggage-, checkpoints located on the two floors of the Departures hall (access Module B by level 2, and access Modules A, C, D, by level 4). It is available 24-48 hours before the flight departure time and it closes 1-2 hours before departure. This system allow the airline to confirm the passenger assistance to the flight, and in most cases, the passenger can select the seat on the plane. 204 domestic and international check-in counters, distributed in 6 areas: level 2. 12 of them are special baggage check-in counters: level 2. Zone A: check-in desks from 1 to 34. Special baggage desk: 1 and 34. Zone B: check-in desks from 35 to 68. Special baggage desk: 35 and 68. Zone C: check-in desks from 69 to 102. Special baggage desk: 69 and 102. Zone D: check-in desks from 103 to 136. Special baggage desk: 103 and 136. Zone E: check-in desks from 137 to 170. Special baggage desk: 137 and 170. Zone F: check-in desks from 171 to 204. Special baggage desk: 171 and 204. Self check-in Air Europa (level 2). The security controls are located on level 2 and level 4 of the Passenger Terminal Departures hall, depending on which boarding module you must go (access to Module B by level 2, and access to Modules A, C, D by level 4). Depending on the destination of your flight you must pass a new security and passport control before boarding. The boarding area of the passenger terminal has two independent floors. From level 0 there is access to Boarding Module B, with its boarding gates, and from level 4 there is access to Modules A, C, D, also with their boarding gates. You can find more information on the following tabs on this page. The Boarding gates are distributed throughout four independent boarding modules (Modules A , B, C, D). You can find more information on the following tabs on this page. The airport has a total of 86 numbered Boarding gates (69 physical, some with double or triple numeration) throughout the four Boarding Modules, and a total of 25 fingers or jet bridges. As part of one of the airport boarding areas, Module A does not have check-in desks. The check-in desks are located in the lobby of the Passenger Terminal Departures. As part of one of the airport boarding areas, Module A does not have security checkpoints . The security control is located before accessing this Module, in the 4th level of the Hall of Departures of the Passenger Terminal. However, depending on the destination of your flight, you may need to pass an additional security control and / or passport control. The boarding area of Module A consists of 2 floors -level 0 and level 1-, and it disposes all the services needed for passengers. 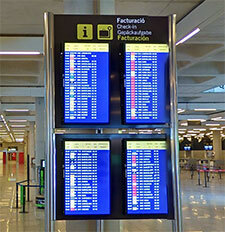 You can consult this services at Palma airport Terminals and Modules section. Module A can only be accessed from the 4th level of the Passenger Terminal, prior to the security controls, and after passport controls. The boarding gates of Module A are distributed along its two floors. Level 0: 6 Boarding gates with the following numbering: A01-A02, A03-A04, A05-A06, A23-A24, A25-A26 and A27-A28 (Total, 12 Boarding gates numbered). Level 1: 8 Boarding gates with jet bridge and with the following numbering: A8, A10-A11, A12-A13, A14, A16-A17, A18-A19, A20-A21 and A22 (Total, 13 Boarding gates numbered). As part of one of the airport boarding areas, Module B does not have check-in desks. The check-in desks are located in the lobby of the Passenger Terminal Departures. As part of one of the airport boarding areas, Module B does not have security checkpoints . The security control is located before accessing this Module, in the 2nd level of the Hall of Departures of the Passenger Terminal. The boarding area of Module B consists of 2 floors -level 0 and level 1-, and it disposes all the services needed for passengers. 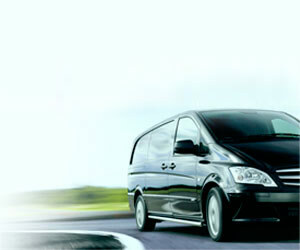 You can consult this services at Palma airport Terminals and Modules section. 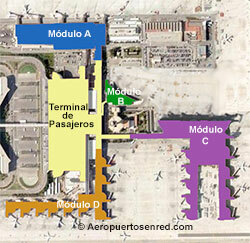 Module B can only be accessed from the 2nd level of the Passenger Terminal, prior to the security controls. The boarding gates of Module A are distributed along its level 0. 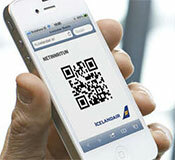 Level 0: 8 Boarding gates with the following numbering: B30, B31, B32, B33, B34, B35, B36 and B37. The Boarding gates of Module B are on ground-level, so the module does not have jet bridge. As part of one of the airport boarding areas, Module C does not have check-in desks. The check-in desks are located in the lobby of the Passenger Terminal Departures. As part of one of the airport boarding areas, Module C does not have security checkpoints . The security control is located before accessing this Module, in the 4th level of the Hall of Departures of the Passenger Terminal. The boarding area of Module C has a single floor -level 0 and level 1-, and it disposes all the services needed for passengers. You can consult this services at Palma airport Terminals and Modules section. Module C can only be accessed from the 4th level of the Passenger Terminal, prior to the security controls, and after passport controls. The boarding gates of Module B are distributed along its level 1. Level 1: 27 Boarding gates with the following numbering: C38, C39-C39B, C40, C41-C42, C43-C44, C45-C46, C48, C50, C52, C54, C55, C56, C57, C58, C59, C60, C61, C62, C63, C64, C65, C66, C67, C68, C69A, C69B and C71-C72-C73 (total, 33 Boarding gates numbered). 17 of these Boarding gates have jet bridge. As part of one of the airport boarding areas, Module D does not have check-in desks. The check-in desks are located in the lobby of the Passenger Terminal Departures. Module D can only be accessed from the 4th level of the Passenger Terminal, prior to the security controls, and after passport controls. The boarding gates of Module D are distributed along its level 1. Level 1: 20 boarding gates with the following numbering: D80, D81, D82, D83, D84, D85, D86, D87, D88, D89, D90, D91, D92, D93, D94, D95, D96, D97, D98 and D99. 10 of these boarding gates have jet bridge. Boardings using boarding gates odd-numbered are carried out by shuttle bus.